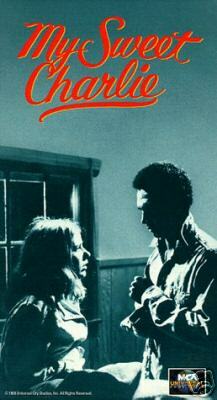 MY SWEET CHARLIE (1970 Universal/NBC-TV) Starring Patty Duke, Al Freeman, Jr., Ford Rainey. Directed by Lamont Johnson. Sadly, the films made for television during the 1970’s have largely disappeared in recent years, with precious few either available on DVD or shown on TV anymore. One would get the impression that DUEL and BRIAN’S SONG were the only worthwhile telefilms of the era. That impression couldn’t be more wrong. MY SWEET CHARLIE is far from being the only overlooked made-for-TV treasure from the era; but in my opinion it is the telefilm most worthy of rediscovery. MY SWEET CHARLIE was adapted from the novel and Broadway play by David Westheimer (VON RYAN'S EXPRESS) by the writing team of Richard Levinson and William Link. The names Levinson and Link became synonymous with quality television: THAT CERTAIN SUMMER, MURDER BY NATURAL CAUSES, RANSOM FOR A DEAD MAN, THE GUN and THE EXECUTION OF PRIVATE SLOVIK were among their telefilm offerings during the Seventies alone (and some will no doubt be reviewed on this site later). Patty Duke is a poor, uneducated southern white girl shunned by both her father and her boyfriend after becoming pregnant out of wedlock. After an uncomfortable encounter while hitchhiking, and with nowhere else to go, she takes refuge in a vacant coastal vacation house until northern black attorney Al Freeman Jr., who is on the lam and needs a place to hide, breaks into the house and finds her there. Forced to stay there together by circumstance, the two vent mutual hostilities, confront prejudices (racial, regional, class and sexual), and eventually develop appreciation, and a platonic love, for each other. Essentially a two-character piece, MY SWEET CHARLIE is an outstanding production in every way. Filmed entirely on location in Bolivar, TX, it boasts production values every bit the equal of other character studies made for theatres that same year such as FIVE EASY PIECES and WANDA. There’s little dialogue for the first 17 minutes, and most scenes take place inside the summerhouse, but director Lamont Johnson does a superb job with his location and actors, avoiding staginess at every step. The performances are very strong. Duke rebounds nicely from her VALLEY OF THE DOLLS fiasco to give what many consider her best adult performance, very convincing as the naïve and troubled young mother-to-be. She is matched by Freeman, who makes several interesting and effective choices, including his decision to underplay the key scene in which he reveals why he is on the lam. 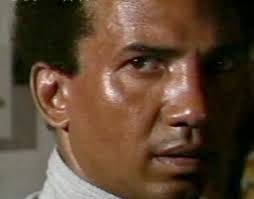 (Freeman had experience with two-character stories dealing with racial tension, having starred in 1967's DUTCHMAN with Shirley Knight.) Veteran character actor Ford Rainey is also solid in a difficult role, personifying the overall views and attitudes of the area with less than 10 minutes of actual screen time. MY SWEET CHARLIE was unanimously acclaimed when it aired in January 1970; it even had a theatrical run after initially airing on television, a full year before BRIAN’S SONG and DUEL did the same. With a 31.7 rating and 48 share, MY SWEET CHARLIE was the highest rated made for TV Movie in history at the time. Duke, editor Ed Abroms, and writers Levinson and Link deservedly won Emmy awards, with Freeman and director Lamont Johnson also nominated. So, why isn't it available on DVD? It doesn't have the "name director" (Spielberg) or the "future box office names" (James Caan and Billy Dee Williams) before they "hit it big" that the aforementioned DUEL and BRIAN'S SONG have. Also, it lacks the "action" of NFL football, or of a man vs. unseen truck driver on a deserted road, instead having the "disadvantage" of being a "people story". Like most socially relevant films of the period, it has elements that have not dated well. Duke and Freeman give performances that are among the very best in the history of made-for-TV movies. The film itself is the most acclaimed made-for-TV film in history that isn't available by far. Speaking of DUTCHMAN, it is available on DVD as well. So why not CHARLIE, a better film? And wouldn't a Duke/Freeman/Johnson/Link commentary be worthy of a listen? So what if it is a people story--there's plenty of dramatic tension here. If you watch it, you'll be moved. Oscar winners/nominees don't just dry up and disappear from screens and shelves, and their TV-movie equivalents with multiple Emmy awards shouldn't be forgotten either. I have just had to purchase an out-dated, out-media'd VHS in order to continue to enjoy this dynamic film. WHY?? in deed. This posting by Hal explains why, but what a sad commentary. Wasn't Patty Duke given an award for this film but when she went up to accept it she seemed "high" and not appreciative saying that Al Freeman should have had it instead? C-ing: sorry about the late reply, but yes, it was during her Emmy acceptance speech in 1970 that Duke seemed "out of it" to many viewers, and she later expressed disappointment that Freeman did not win (Peter Ustinov was the Best Actor winner for the original A STORM IN SUMMER).